I had the opportunity to share my experience of traveling to Iran through the West Virginia Gazette-Mail. Thank you to Bill Lynch and Melinda Young. You can access the original article by clicking on the button below. Name a place with astounding architecture, exotic landscapes, a rich culture and a lot of rugs. The rugs might have given it away: I’m talking about Iran. My relationship with Iran is almost certainly different from that of other West Virginians. Although I was born and raised in Charleston, Iran remains a second home to me. Maybe it’s because that’s where my family is from. Or maybe it’s because whenever I visit, I’m aware that I’m walking on ancient lands entrenched with deep history dating back to the Persian Empire. Full of beauty and warm people, every journey back to my roots provides a grounding experience. I was fortunate enough to recently spend a month in Iran, and I whole heartedly believe it should be on everyone’s travel bucket list. Even after traveling the country extensively during my visits, I still feel like there is more to be discovered. “Your room smells like America,” my aunt lovingly joked with me as I was packing clothes for a family party in Behshahr, a city in northern Iran. I asked her what it smelled like. She described it as clean and fresh, but she had first-hand experience. My aunt and uncle, now dual-citizens of the United States and Iran, recently moved back to Iran after living in West Virginia for about 10 years. They became green card holders through an intensive two-year vetting process to provide a better opportunity for their children, my cousins, who still live in the U.S.
We were traveling to Behshahr, in Mazandaran, about a five-hour drive from Tehran, for my cousin’s engagement party, and stayed an extra couple of days to explore this gorgeous city known for its lush scenery. 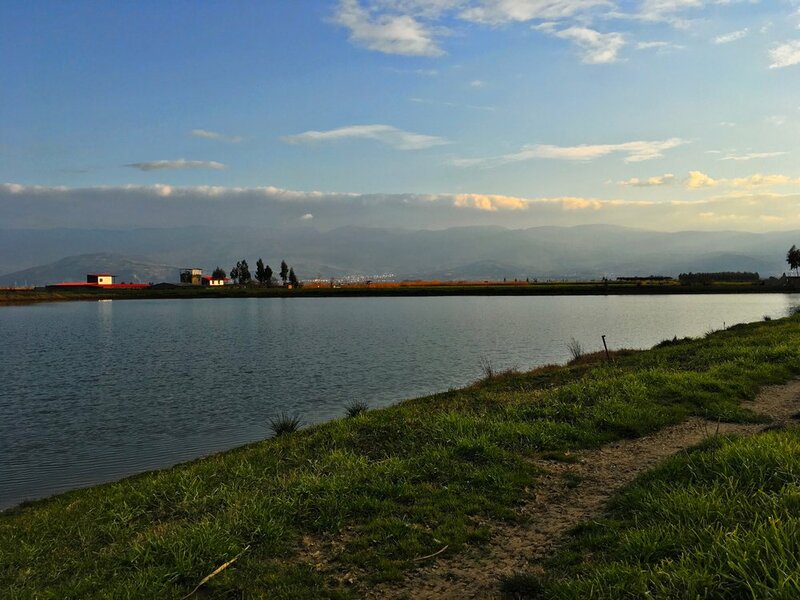 It’s close to the Caspian Sea and near the foot of the Alborz mountains, so the hills and humidity made me feel right at home. 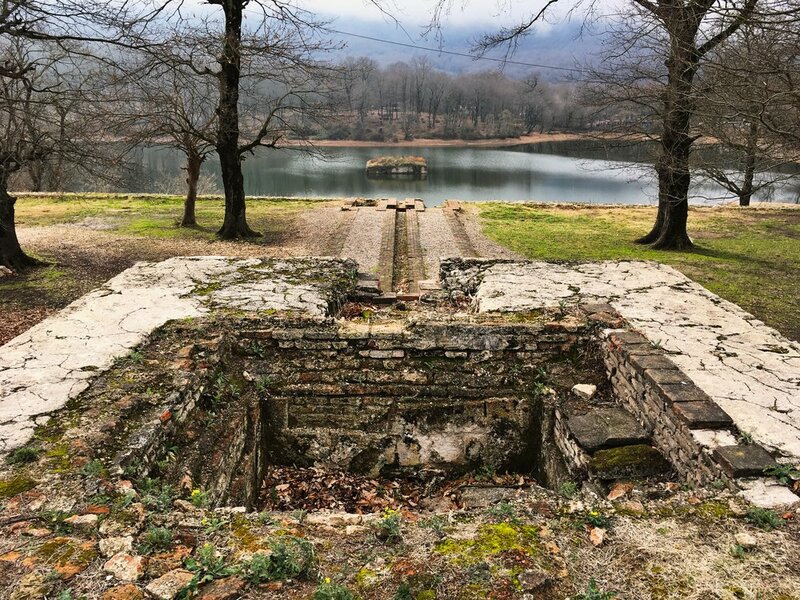 It was a bit chilly, but my family took me up a road on a mountain in the middle of the jungle that surrounds a lake with a destroyed castle and garden called Abbasabad that once belonged to Shah Abbas I from the Safavid Empire around 1588. Being in this part of the world that’s so rich in history is something you can feel in the air. The next day, we went to another lake just in time for the sun to set. On the road, we passed a shepherd and his sheep, and I went back to speak with him after we arrived. He told me about the value of his sheep and how thankful he was for them, for they were his lifeline. Living off the land and appreciating the family line of work you were born into was something his father instilled in him from a young age. His gratefulness was humbling. 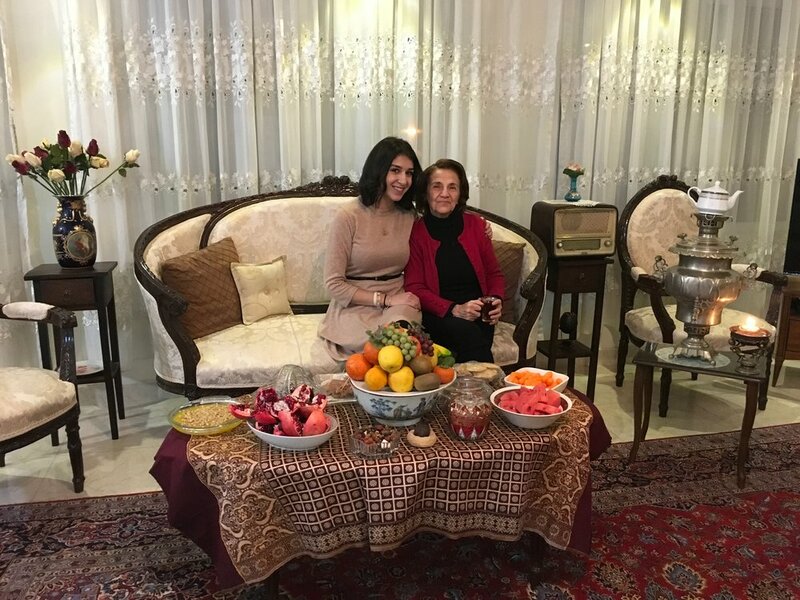 We returned to Tehran in time for Shabe Yalda, a traditional Persian holiday celebrating the longest night of the year. The celebration dates back prior to the advent of Islam, when a majority of Persians were followers of Zoroastrianism — one of the oldest of the world’s single-god religions. The holiday is meant to represent the arrival of winter, the renewal of the sun and the victory of light over darkness. Following tradition, my grandmother had put together a lovely spread of fruit, nuts and other Persian pastries. Some have specific purposes: Pomegranates are reminders of the cycle of life — the rebirth and revival of generations. The purple outer covering of a pomegranate symbolizes birth or dawn, and its bright red seeds represent the glow of life. 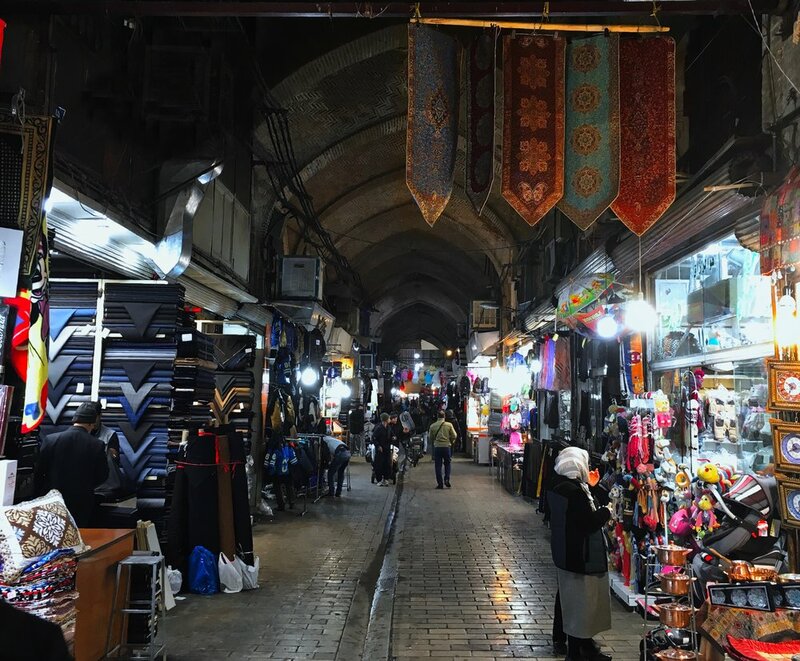 Later in the week, my aunt and I ventured to the old Grand Tehran Bazaar, where there are a few walls and passages that date back 400 years. You read about the exchange of goods in the Middle East as a child, and it’s incredible to experience the continuation of this extensive legacy in its current form. 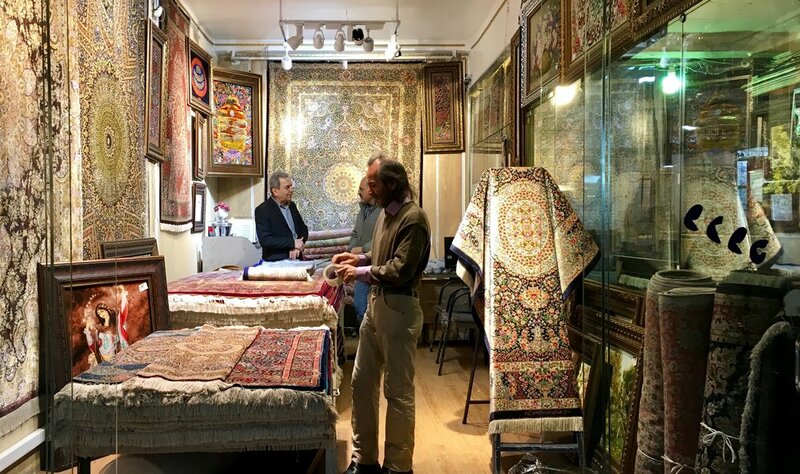 I saw handmade silk Persian rugs, exquisite textiles, spices galore and gold as far as the eye could see sold by proud Iranians who are fiercely in tune with the richness of their culture. Rasht, another city in northern Iran is close to the Caspian Sea and home to one of my uncles. We were traveling for my cousin Pouria’s wedding, and I could only picture him as a 5-year-old incapable of getting married. How the bride and groom came to be is nothing short of an adorable love story. Pouria fell in love with a girl in his neighborhood, Arefe. He wanted to get to know her, and her family told him to stay away, so he pledged he would be back when he was worthy of their daughter. Pouria was accepted to the No. 1 college in Iran, the University of Tehran, became a petroleum engineer and fulfilled his promise to come back for Arefe’s hand in marriage. Rasht was a stunning city, with palm trees that made me feel like I was in Miami, at times. Because it is close the Caspian Sea, Rasht is known for its impeccable seafood. We were traveling through the bazaar when my cousin and I stopped to listen to an older gentleman singing to himself in his shop. He was the epitome of the warmth and natural joy that exudes from Iranian people. Graciously, he changed his tune and invited us to buy some of his fish in his new song. On the way back from Rasht, we stopped in the historic village of Masouleh. Established nearly 1,000 years ago, Masouleh was once part of the Silk Road and is incredibly designed. The cottages, constructed of clay and wood, are tucked neatly in the mountainside, where each house’s courtyard is another house’s rooftop. Forever covered in fog, its beauty was undeniable. My final week was about three days exploring the palaces in Tehran that belonged to the Pahlavi Dynasty prior to the Islamic Revolution of 1979. Persians have an affinity toward luxury, and the palaces built in Tehran were nothing short of glamorous. From the engraved crown on every golden door handle in the entire complex to the intricate design of hand-placed mirrors, every detail was lavish. Being in those spaces and thinking about the incredible talent it took to build them was astounding. Iranians are so creatively refined in the arts. 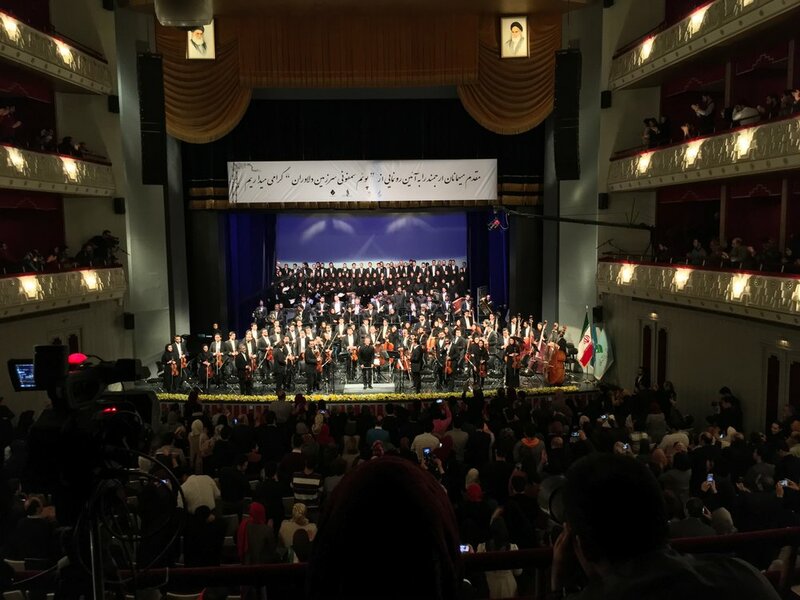 Experiencing arts in Iran was the theme for the rest of the week, as I was invited to attend a performance by the Tehran Symphony Orchestra., led by Maestro Shahrdad Rohani, a beloved Iranian-American composer and conductor from a prominent musical family in Iran. Rohani is dedicated to reviving the TSO after its doors were shut during the Islamic Revolution, he has taken great strides in making orchestral music accessible throughout Iran. I was fortunate enough to have breakfast with him and explore the Museum of Iranian Music that housed fascinating instruments up to 600 years old. When it came time to say goodbye to Iran, my heart was heavy. It’s often difficult being halfway around the world from those you love. Time passes quickly, and each trip ends with the same shuddering thought of whether or not it will be my last time seeing my grandmother. How can a place that has such warm people, such stunning beauty and such a rich culture be portrayed as one that only breeds fear, terror and hate? There is light and dark in every part of the world. I long for a day when Americans feel a desire to visit this part of the world because I know they would be welcomed with open arms and lots of tea. Shiva Shafii is the marketing director for the West Virginia Symphony Orchestra and a classical radio host on WTSQ 88.1 FM. She also writes a blog at shivashafii.com. She can be reached by email at shivashafii@gmail.com.